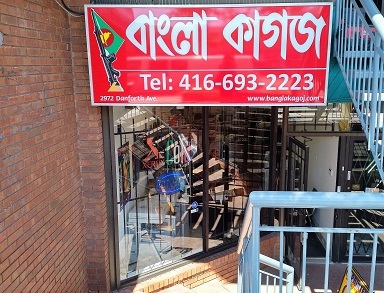 Toronto-based publisher of the Weekly Kagoj community newspaper now available in downtown Toronto, the Danforth Village, Mississauga, and Scarborough Bangladeshi merchant locations. Also for sale are cultural goods such as new books and videos, dramatic movies mostly in Bengali and some products in Hindi. Digital passport photograph service offered as well.